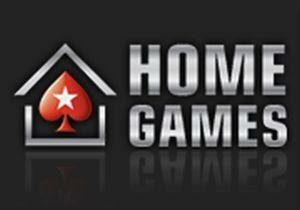 It would be nice to say that there is nothing more enjoyable than a poker home game, but this isn’t strictly true. Yes, you are assured an enjoyable night, as the drink will probably flow, the evening will be high on laughs and you’ll be playing your favorite card game. What could be better? Well the night will be all the sweeter if you come away from the night as the big winner! You’ll have more money in your pocket and more importantly perhaps, you’ll have that badge of honor of being the best player amongst your friends and peers. In this guide, I’ll tell you exactly how easy it is to beat these home games, where, if honest, the skill levels can be pretty low. Many players at these games will be recreational players, perhaps even playing for the first time, so even a small amount of solid poker strategy should see you have a serious edge. Imagine you’re playing at your average home poker game, facing five other players. Of these five, one or two of the others might have a solid poker game, but it’s a sure bet that at least three of the players will be recreational players. It’s also a good bet that these players have probably seen at least a little poker on the TV, where they regularly see the top pros enter hands with poor starting hands, only to hit the flop big and take down a nice sized pot. In the mindset of these players, this is the beauty of the game, where there is nothing better than beating a player who is holding a pair of Aces with their 4-5 off. These are the players you want to target as they are basically a license to print money! So how exactly do you beat these players? You play solid, tight, aggressive poker. Sit back, take it easy and wait for those bigger hands and then play hard. When you get those big hands such as premium pairs, Ace King and Ace Queen you’ll want to get as much money in the pot as possible pre-flop. If you’re first to act, you’ll obviously want to raise and hope a looser player or two comes along for the ride. If a player has limped in already (this happens a lot), raise it up yourself. The best case scenario is if a player has already raised and you are holding one of the biggest hands. Simply 3 bet them hard. Guess what? They won’t be folding. Firstly they desperately want to see that flop and secondly, many recreational players will see folding in this situation as showing a lack of guts. Whatever, the reason, they’ll be calling that 3 bet! In some particularly loose games, where the betting action is crazy, you can simply shove if a number of players are involved in the hand already – obviously the dream scenario being if a player has shoved already and you’re holding that huge hand. Yes, the nature of Texas Hold’em means that at times you will indeed get turned over. You’ve got your half of your opponents stack in pre-flop with your QQ and their 7-10 suited manages to hit two pairs and you lose a big pot. Yes, it’s annoying, but you’ll know in the long run that this win only encourages this type of play more (your opponent will think they are Phil Ivey at this point and play even looser!). That isn’t to say that you can’t play some speculative poker yourself. If there are a number of limpers at the table, you should certainly be set mining any pairs and if you can see a flop cheaply, those suited connectors can be super valuable. The difference being that you won’t be putting a large proportion of your chips in the middle to see these flops! Don’t worry about table image too much either. Firstly, there is every probability that your opponents won’t be taking any notice of your play, being too involved in their own hands. Even if your tight play has been noticed, it might make other players even more determined to beat you with their poor hands! Here’s one final piece of advice. Don’t bluff!!! The reason you’ll bluff at any poker game is to get another player to fold a better hand. If players aren’t folding, which at home games they invariably aren’t, this is a strategy that is almost certain to backfire. Stick to the tight aggressive plan and you’ll be taking chips from the bluffers, not the other way around. 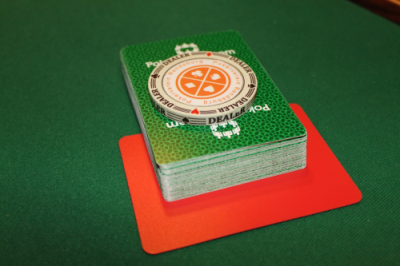 It wouldn’t be unkind to say that you’ll find some of the weakest poker of all when playing at a home game. Some players will use next to no strategy and a good, solid game will see you walking away with the spoils. Keep it tight, take advantage of those players who are happy to throw their chips around and you’ll be the one smiling at the end of the evening. You can now enjoy private poker games with your friends and colleagues online. The biggest poker site, PokerStars, has an entire section dedicated to private home games where you can set the buy-in, game type and so on before you invite your friends. If you prefer to join an established private game, there is a search option too. Register with affiliate marketing code PSP3018 and bonus code STARS600, and you’ll get up to 3 100% matched ‘first’ deposit bonuses to give your initial bankroll a huge boost. Check out www.pokerstars.com for yourself now!